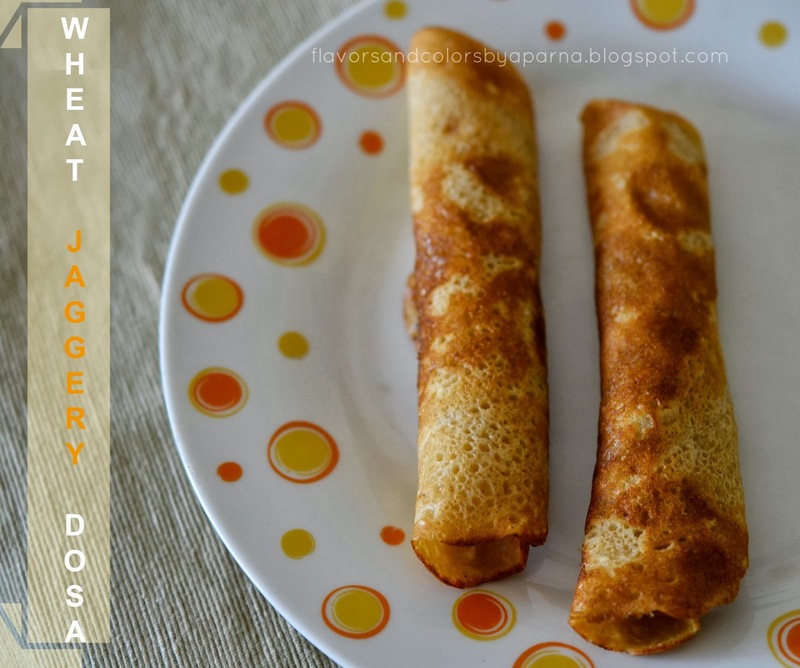 Wheat flour dosa or jaggery pancakes is yet another instant dosa recipe where the batter need not be fermented. The name itself tells you the flour that is used to prepare them. This had been my favourite during my childhood and is now favourite of my kids too. 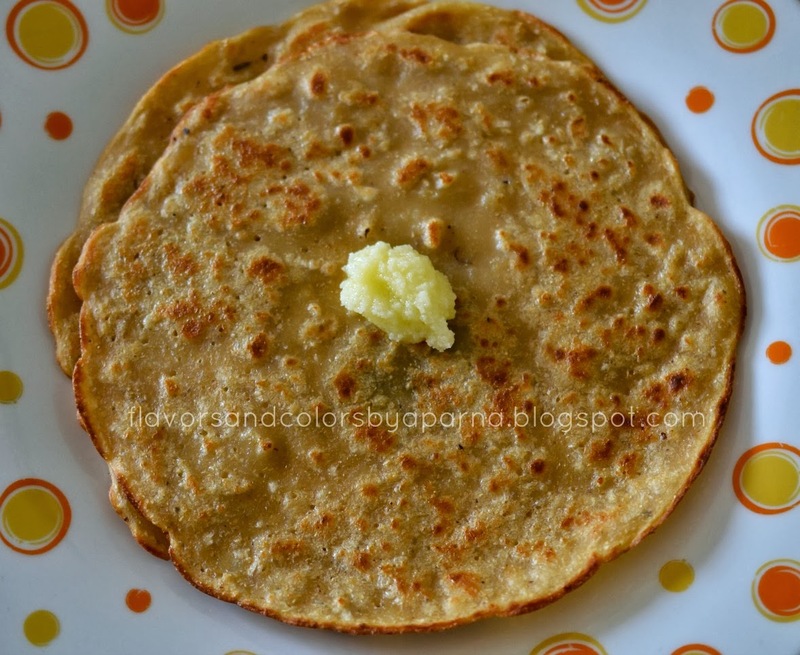 Dissolve jaggery in water and heat it a little [so as to dissolve all the jaggery]Mix wheat flour and rice flour with this to make a thick paste. Mix cardamom powder and grated coconut. Heat a griddle, spread some oil, spread a ladle of batter evenly in circular motion and pour oil round the sides. Fry the dosa on both sides to a golden brown color. Note: If you don't like sweet you can exclude jaggery and instead add minced green chillies, finely chopped coriander leaves and cumin seeds to the batter.